Ok y’all! Actress Reese Witherspoon and her lifestyle brand Draper James announced today a collaboration with plus size retailer Eloquii. The 16-piece collection includes dresses, bags, tops and homegoods, ranging in price from $28 to $225 dollars. The clothing is available in sizes 12 to 28. 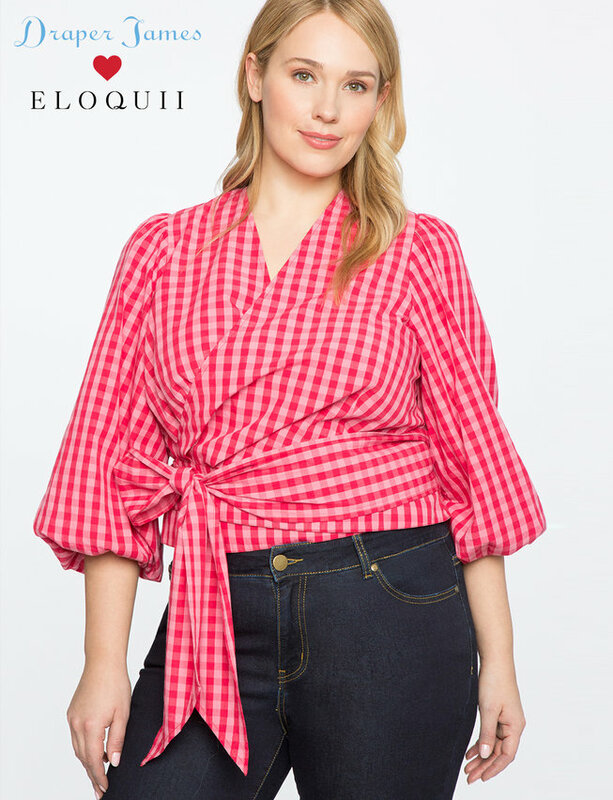 Witherspoon, who is the creative director and founder of the Draper James brand said about the collaboration: “It’s been such a fun and rewarding experience to work with ELOQUII on this collaboration. We are thrilled to invite more women into the family with the Draper James for ELOQUII collection”. Founded in 2015, Reese created the lifestyle brand to honor her Southern upbringing and even named it after her grandparents Dorothea Draper and William James Witherspoon. 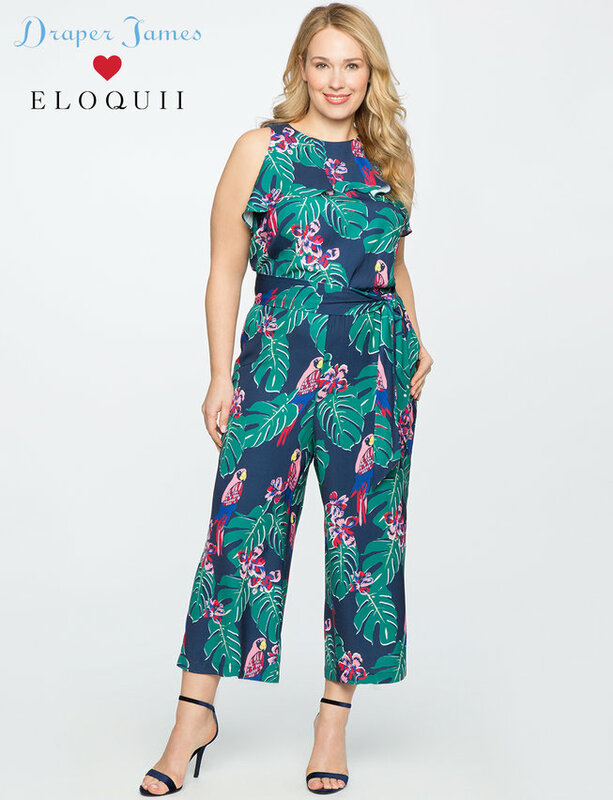 Eloquii teased on their website that there is another collection coming up, perhaps a Fall/Winter one? We shall see! Shop for the Draper James x Eloquii Spring Limited -Edition Collection online at www.eloquii.com. I had the opportunity to try on some pieces from this collection on my visit to the Columbus store earlier this week. I used to live in Nashville when the Draper James store opened but was bummed nothing came in my size. 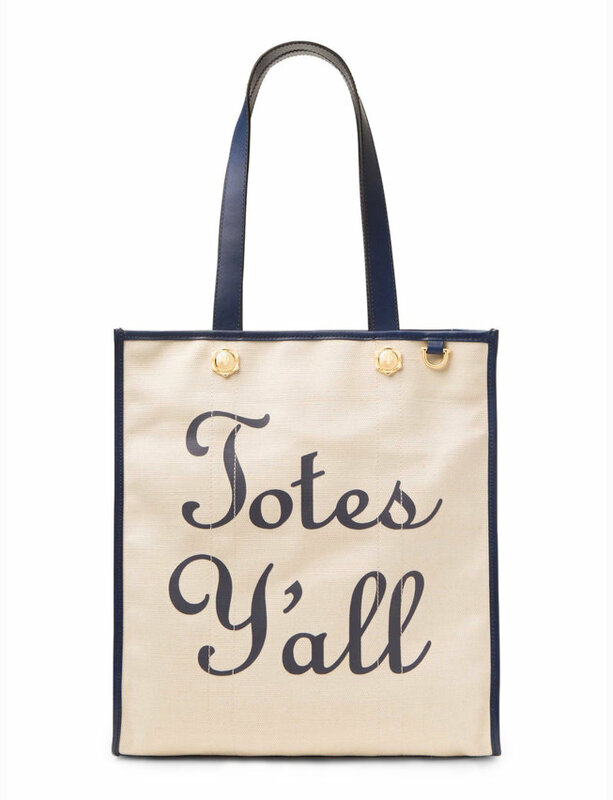 This has the same preppy, southern-chic vibe but is designed especially for plus sizes. And I love that you can see both Eloquii and Draper James’ influence on the designs. Such a darling and playful collection! Awesome! I can’t wait to try them out, I haven’t tried anything from the collection yet. Yes! I like both of these brands and I am happy that they collaborated. Very cool!